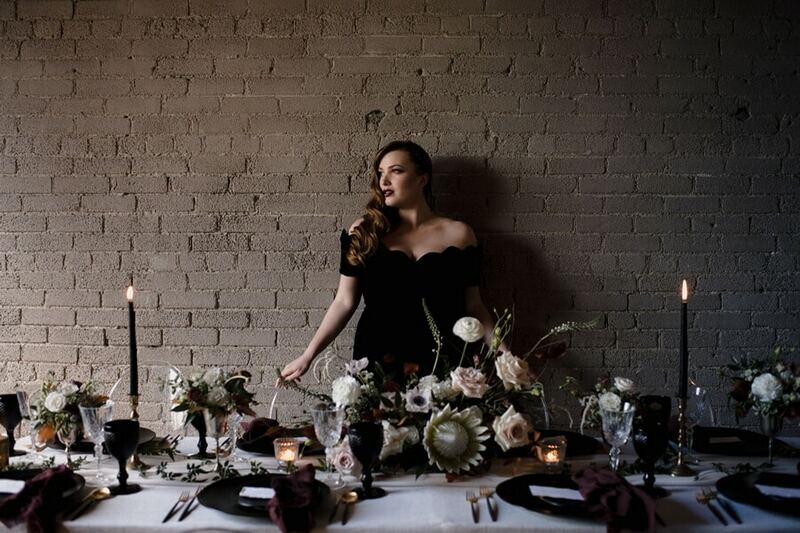 Queen West Studio was the perfect location for this moody style shoot planned and designed by All That Jaz Weddings. 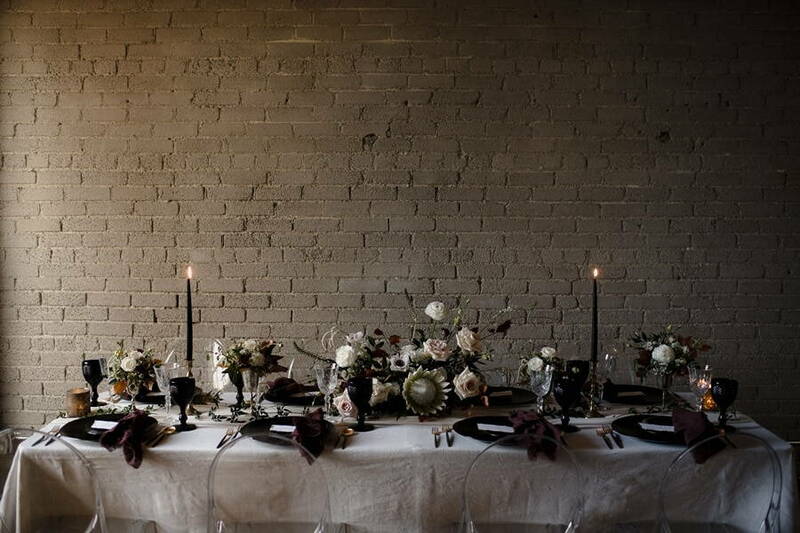 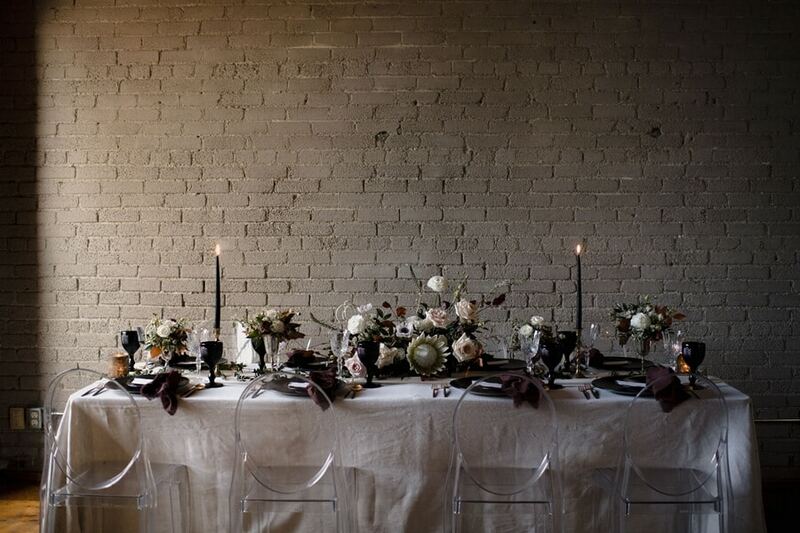 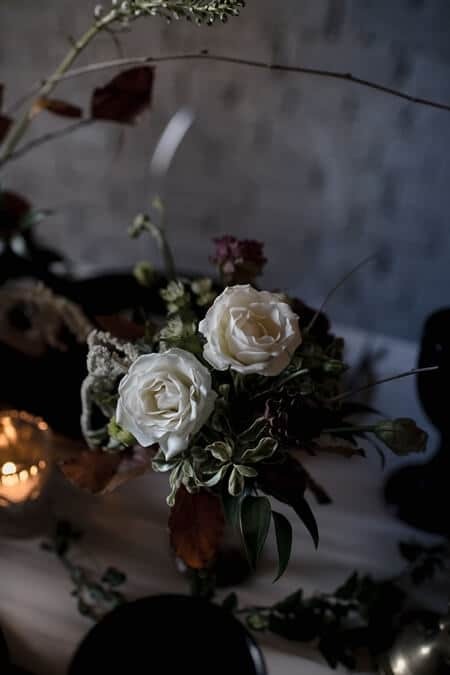 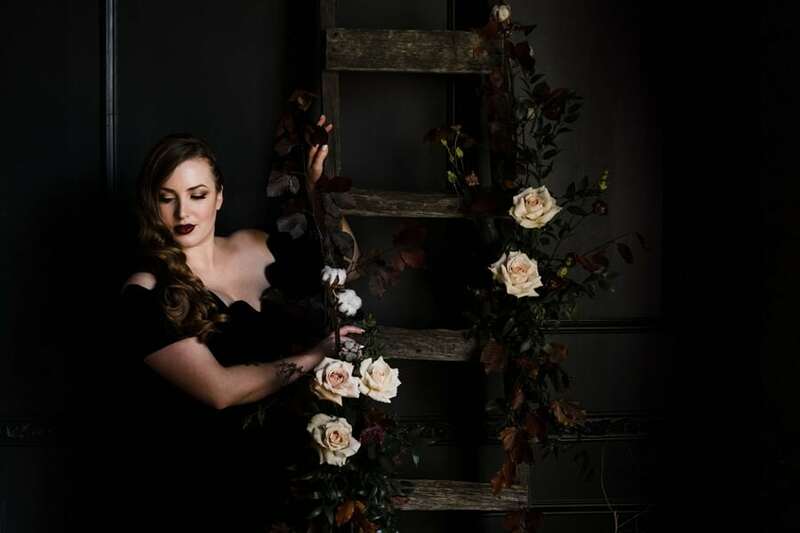 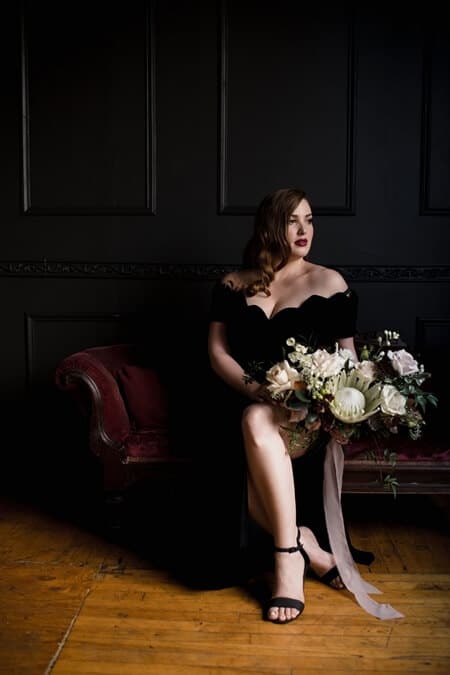 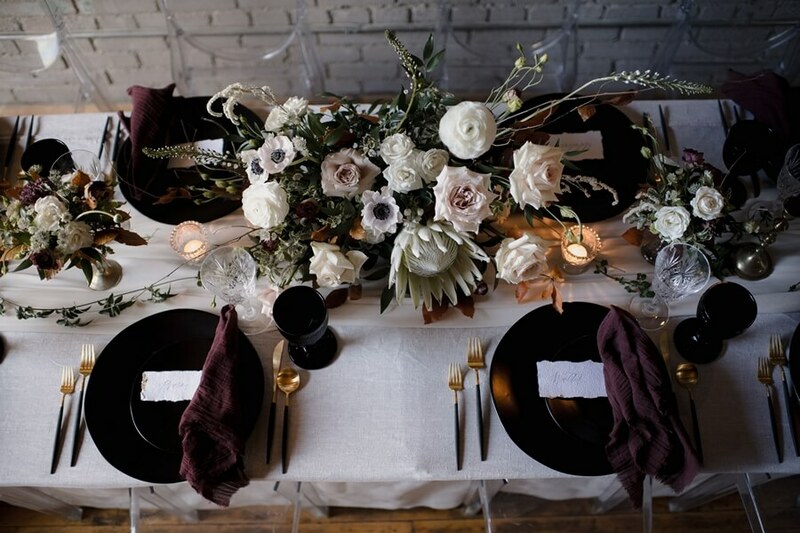 With the natural light providing a romantic ambiance as it illuminated the studio’s rustic brick work and black accent wall, this style shoot is giving us serious winter wedding inspo for our Pinterest boards! 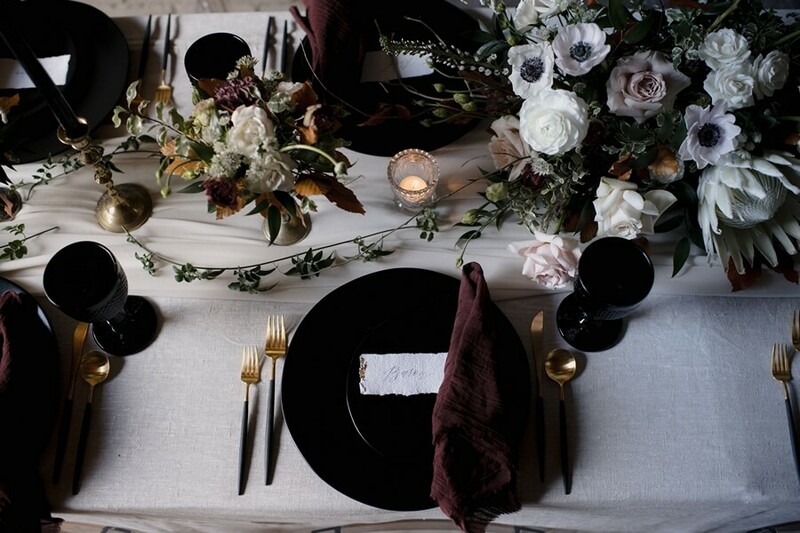 From the Planner: I naturally gravitate towards a more dark + moody aesthetic when designing. 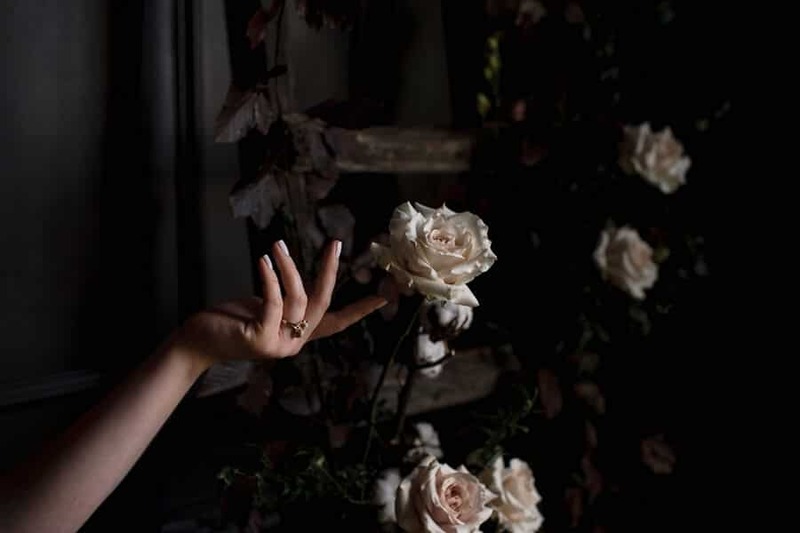 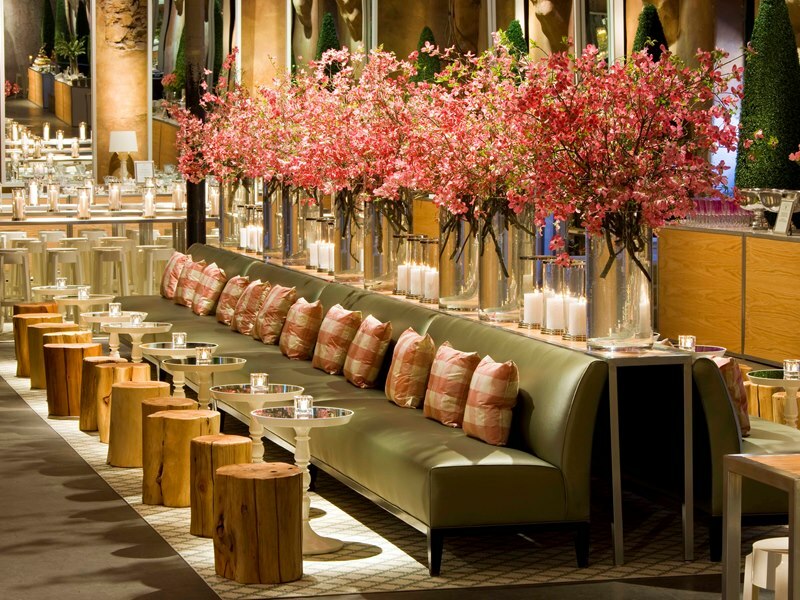 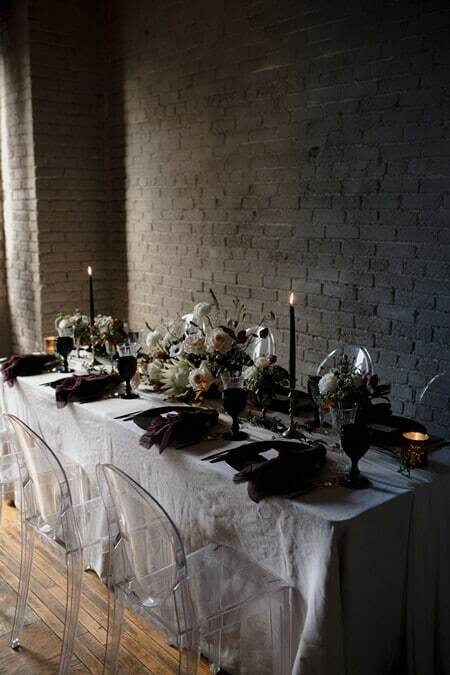 I love the intimate and romantic atmosphere that aesthetic brings. 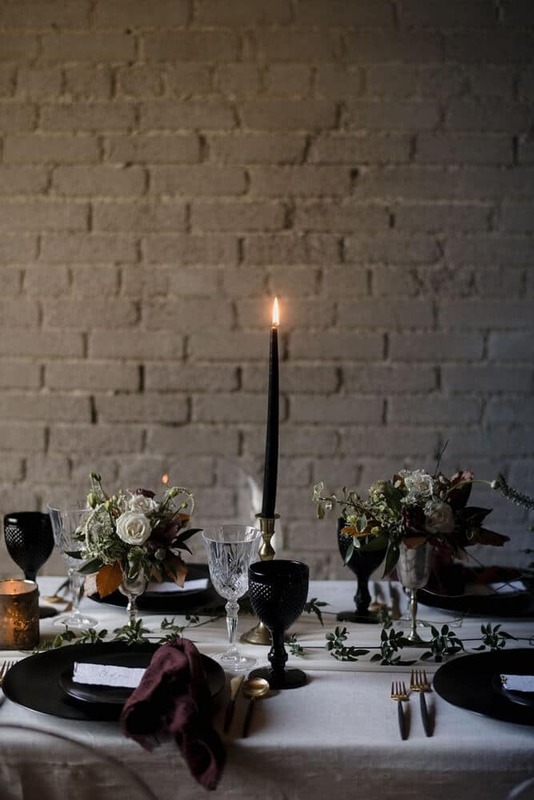 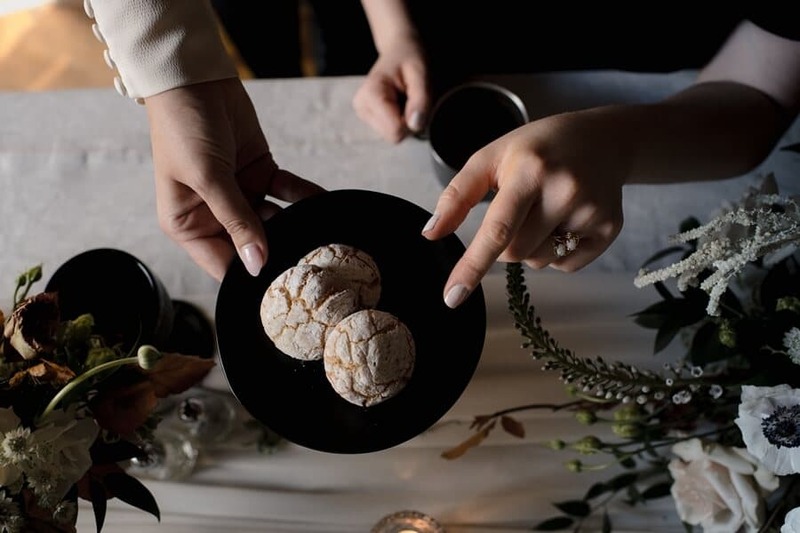 When planning this shoot, I wanted to incorporate food and the idea of hosting a dinner party which can also translate into an intimate wedding. 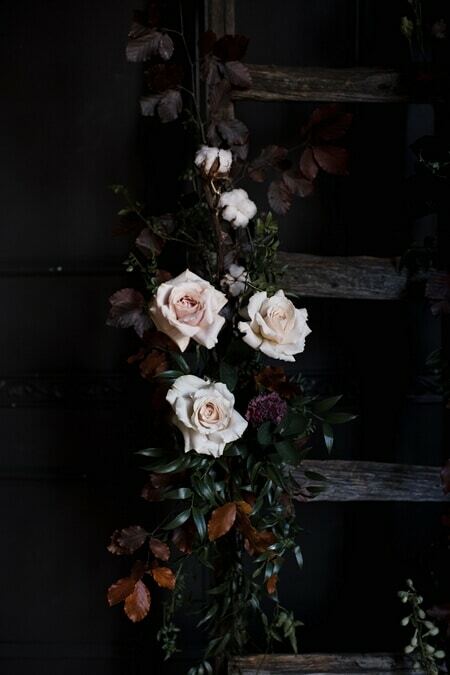 The part I love most about this collaboration is the people involved. 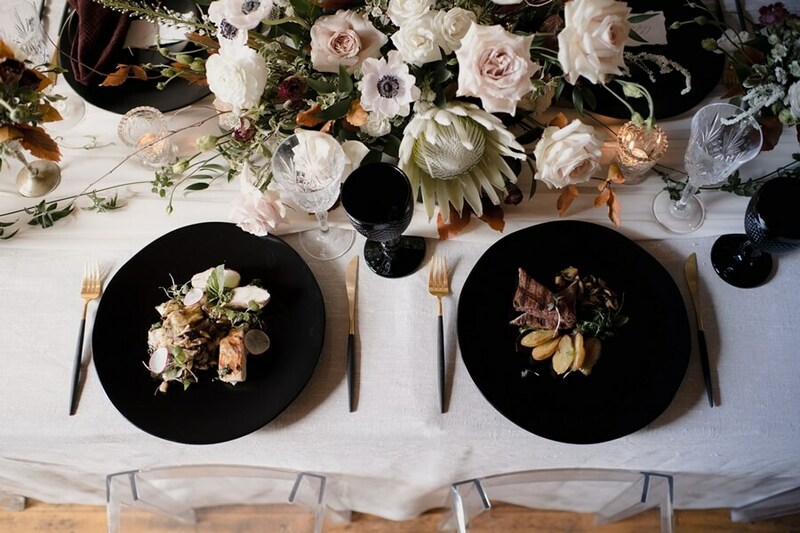 It wasn’t your typical wedding collaboration and everyone was so keen to be apart of it. 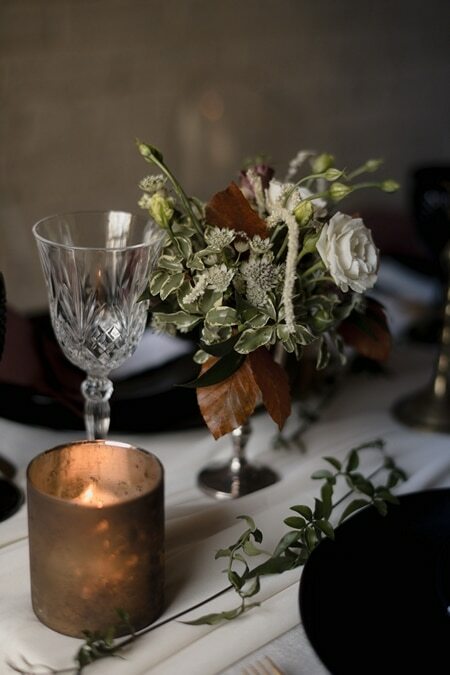 Hugh Whitaker was there to capture all of the gorgeous details. 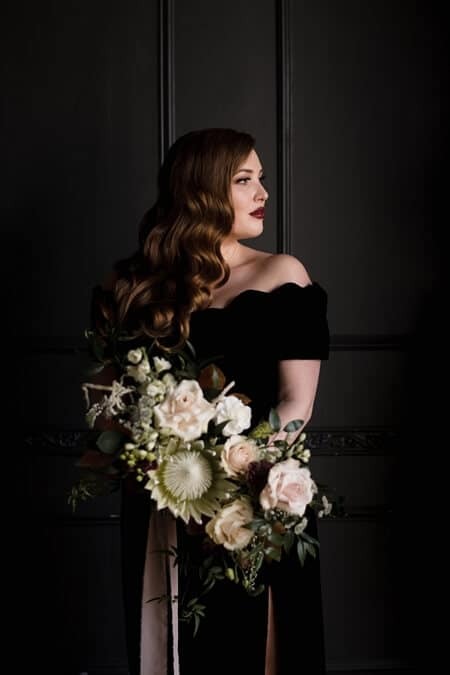 Model Kayla Childs’ subtle smokey eyes, vampy lips and side swept Hollywood waves are a gorgeous style for a winter wedding. 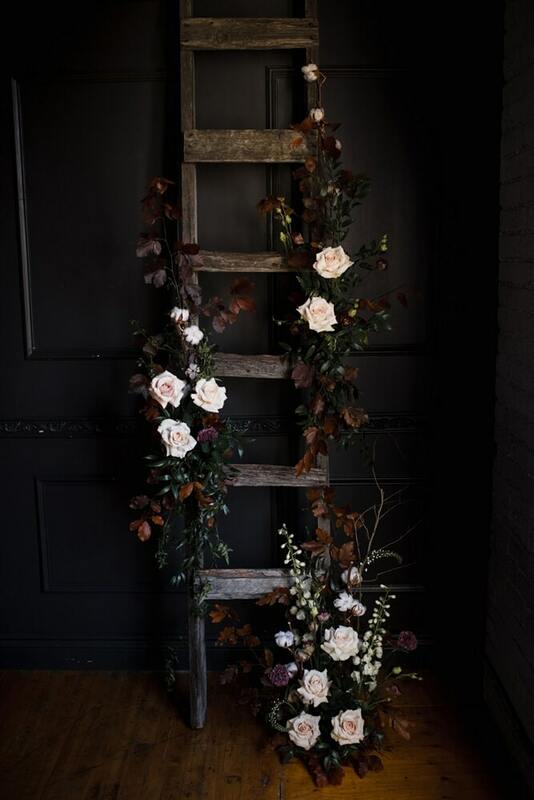 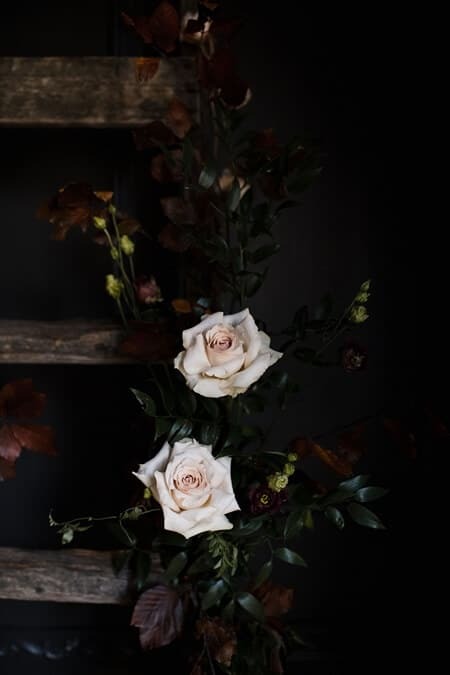 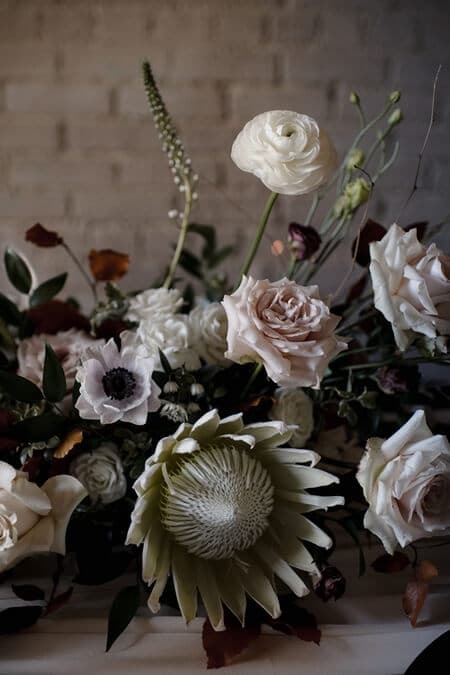 The dark hues in this colour palette perfectly contrast with the wintry florals designed by Bellwood Blooms and furniture from Contemporary Furniture Rentals. 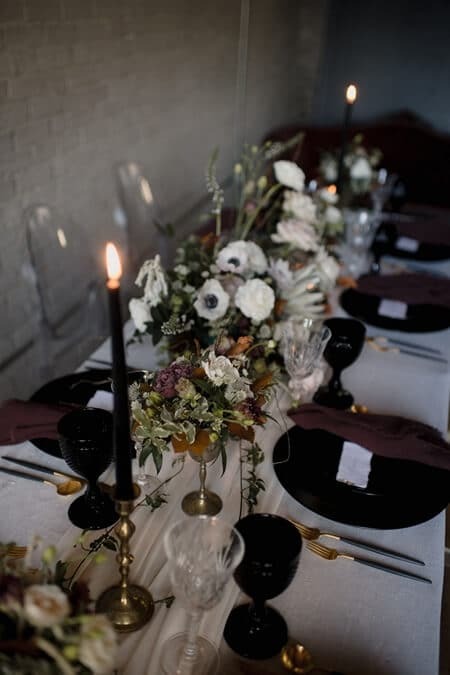 The shiny gold from the cutlery and brass candlesticks were the perfect metallic accents to add to the rustic style. 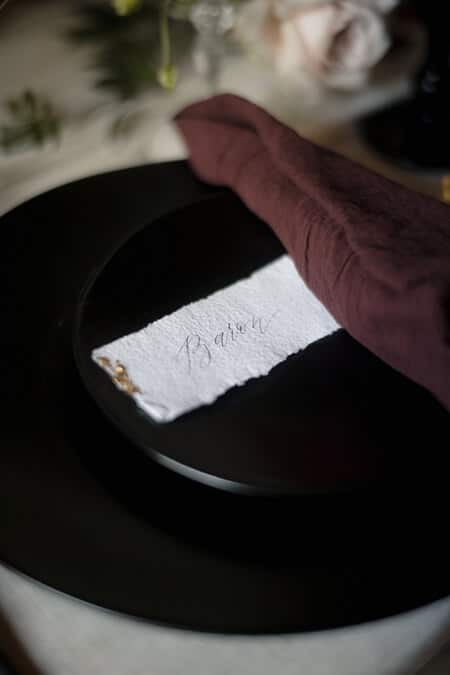 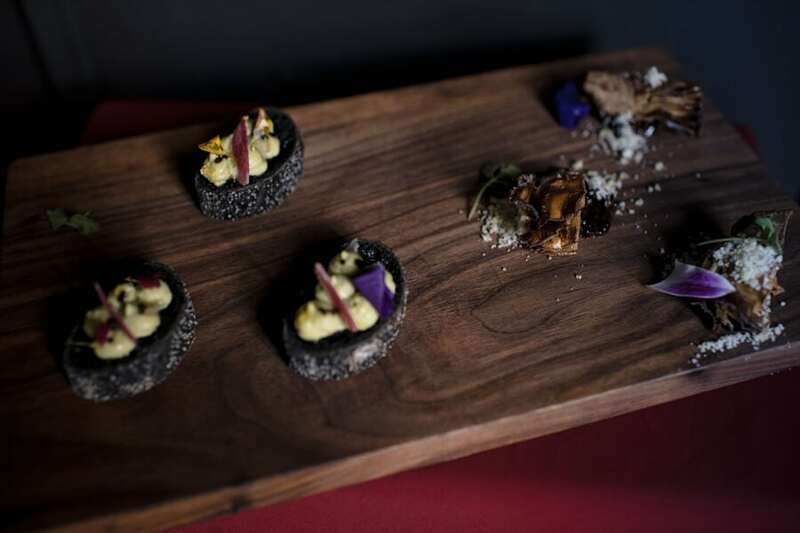 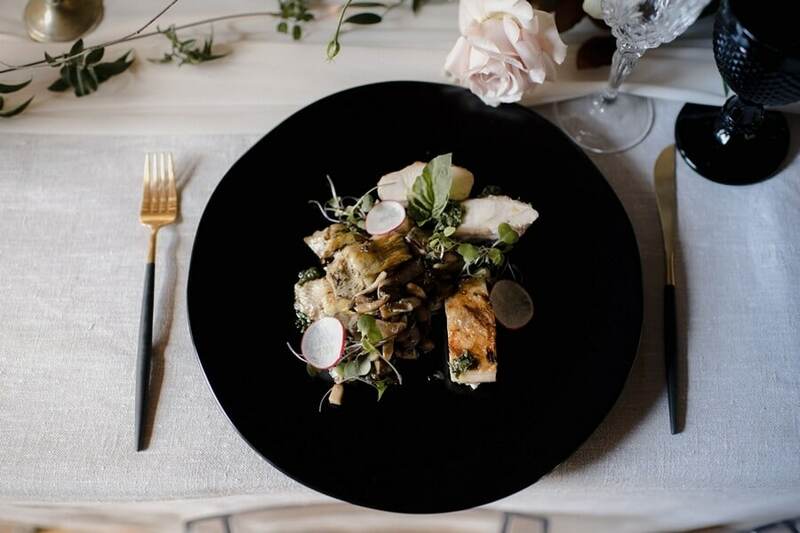 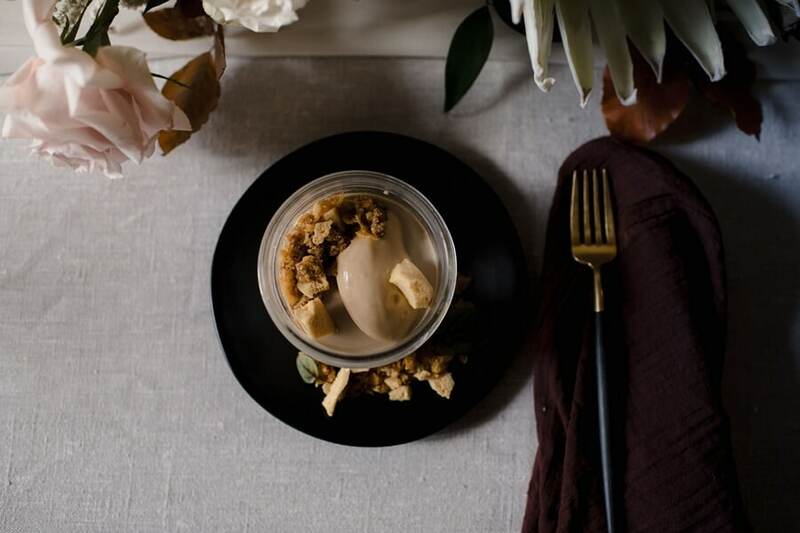 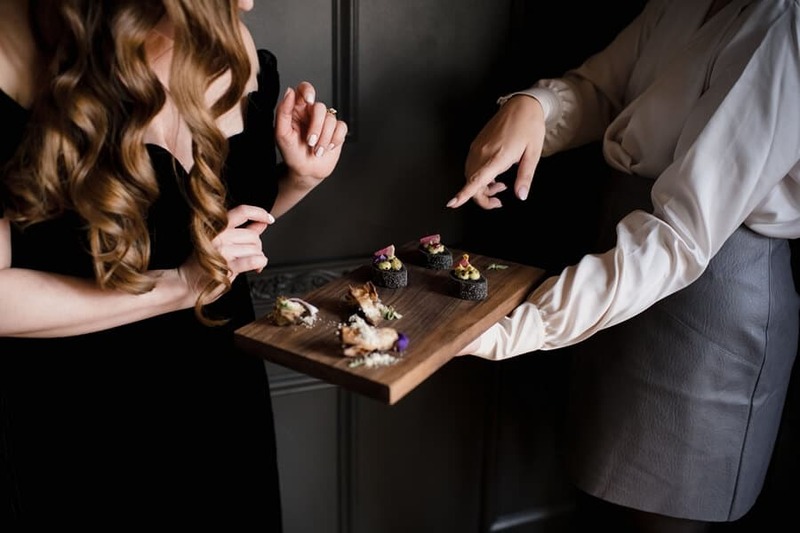 The dark tableware from Plate Occasions offers a beautiful contrast to the delicious food.